When it comes to mouth watering recipes, it doesn’t get better than the Onga Time Out With Kate DVD & Booklet! 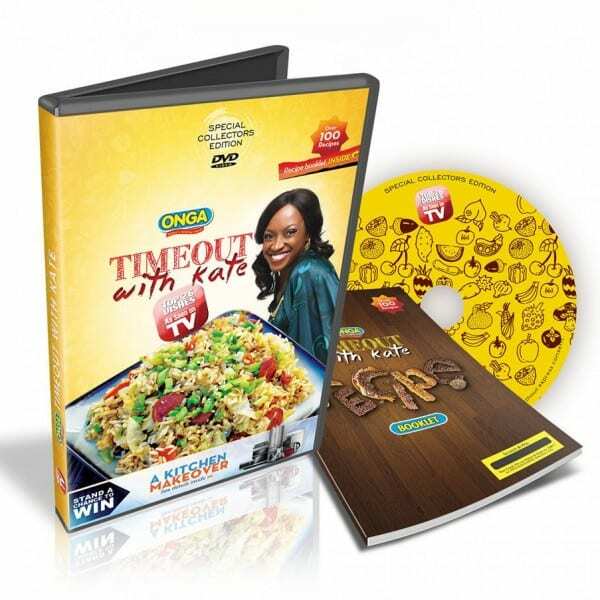 The Cooking DVD is a compilation of the TV show “Time Out with Kate” featuring the beautiful Kate Henshaw. It consists of 26 top Nigerian dishes while the Recipe booklet contains over 100 dishes. 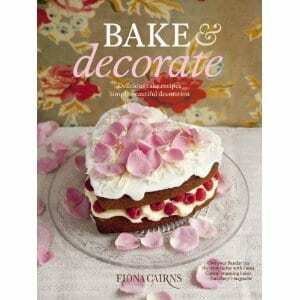 If you thought cake decorating was costly and difficult, this is the book that will change your mind forever. Fiona Cairns is bursting with new ideas for making delicious, visually stunning cakes and biscuits easy – even for the least experienced cook – and for far less money than you thought. From an eye-popping gold leaf-encased torte for a special celebration, to wickedly sophisticated chocolate-chilli cupcakes, Fiona shows every aspiring hostess how to achieve glamorous, fun entertaining from her own kitchen, using easy techniques and tricks that make cake decorating achievable for all.